Final year Podiatry student at the University of Wales Institute, Cardiff (UWIC), Bethany Jones, embarked on the trip of a lifetime when she travelled to the Southeast of Nepal to carry out research work for her final dissertation. After contacting the Leprosy Trust, she was offered a placement at Lalgadh Hospital which has treated thousands of patients suffering with the painful disease since it opened 15-years-ago. She had one-on-one patient contact to carry out pioneering research on how leprosy affects the lower limbs as it causes Peripheral Neuropathy –damage to the nerves. Bethany recorded her adventure in a diary which captures the highs and lows of experiencing a whole a new culture and working with the poorest people suffering from a debilitating disease. Her time away was not only over the Christmas and New Year period, but also her 22nd birthday – celebrations she will never forget. The festivities have begun! Yesterday was everybody’s day off which began with going to the church; everything was in Nepali in a concrete building with no decorations, just three ceiling fans. There was a rusty drum kit, a tambourine and a guitar at the front and live music rang out with the sound of 100+ Nepali voices. Very beautiful – we clapped in time and swayed a lot. We then joined in with the Sunday School in an even smaller room with many children sitting on top of one another to be involved. The weather was boiling and the sun shone down, as hot as what we would class a mid-summer scorcher at home. We strolled to Badabos the local town, not the cleanest of places. There are people everywhere and goats and cows just wandering down the manic main road. I purchased some table tennis balls so that I can play with the children who have turned out to be amazing. Later in the evening we went carol singing door to door at villager’s houses. Everyone was very joyous. We visited the very poor in mud houses not a far cry from Jesus’ stable, to those homes that would be considered rich with large balconies and colour. At every house however, rich or poor, we were given a selection of sweets or biscuits to thank us for our songs. The best was Nepali cinnamon bread, a local traditional treat – very tasty. The kindness and welcome of these people is truly charming. Considering there is a conflict on their door step and a strike now in place for the next three days, nobody is distracted from the Christmas joy. Christmas day is going to be spectacular! With the help of a 14-year-old patient I introduced myself in Mitili, the local dialect here, to all the patients. I have met them several times before and they make reference to me as “didi” a familiar term used here for elder sister. This is a great privilege for me and a sign of acceptance. The patients are so grateful for any attention and care they are smiley and friendly to all who show them any interest with a smile and “Nameste”. I collected data from 17 patients with my helpful friend and it was fun to try and chat. Early morning trip to the local town Badabas to purchase some noodles as we can no longer eat the over greased vegetables (deep fried) served breakfast, dinner and tea. 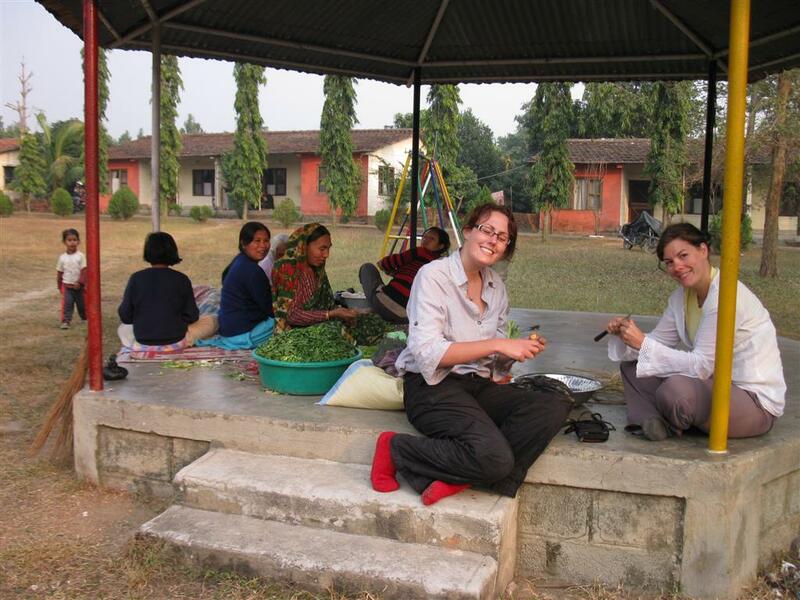 When we returned we joined the wives of Lalgadh hospital in preparing the food for the Christmas day feast. This included taking rice from a large sac, placing it in a wicker flat basket and sifting through it with your hands removing any insects and stones that are in the rice. This was followed by peeling potatoes, scraping away the skin with a blunt knife. The preparation of the food took place in the small grass area which is between all the houses inhabited by the staff of Lalgadh. The women sat on a small bandstand chattering together merrily. Once darkness had set in, the carols began. We visited 17 houses accompanied by a set of bag pipes, two tambourines, one guitar, one set of bongos and 50+ joyous voices. Something you would never find in the UK. At every house a prayer was said and a carol sung. The occupant of each house danced on their porch in traditional Nepali style, including Amanda and myself. Once the visit to each house had been paid and sweets had been given, a feast took place on the green; rice, dal, cabbage and chicken. Once the food was plated a fire was lit and everyone sat around in high spirits. A very festive Christmas Eve. Friday 25 December, 2009 – Happy 22nd birthday! Woke at 6am and rang home, it was midnight there. At £1.80 per minute it couldn’t be a long call. Got showered and dressed and for the first time on this trip decide to become feminine. I washed my hair, (though I have been doing this every other day!) moisturised – that had gone out of the window with all the dust – it’s not typically me but today’s my birthday! I applied make up and wore a long colourful skirt borrowed from Amanda. Everyone commented considering I have had my hair pulled back, baggy trousers and baggy shirts everyday – this was a clear effort for this festive celebration. At 10am we wandered to church. The usual very bare concrete square with barned windows was today decorated with balloons and stars. Very colourful. The band was plugged in and the music blared from the church, hundreds of people attended. The small room was packed with colourful saris and dirty feet. Everybody sang and clapped merrily. Two hours of sitting on a concrete floor is painful – I will never moan about a pew bench for as long as I live. We then feasted on rice and curry. I then retired back to my little house to email home once again and fill people in on my day, especially my top story; whilst walking to church we met a new mother with her three new born goats – two girls and a boy. They share my birth date. We watched them stumbling around taking their first steps and it really was a magical start to the day. All in all this has been a memorable birthday. Had the most amazing Boxing Day; travelled to Sindhuli which is around one hour off -road drive in the direction of China. We went on from there up into the mountains to visit a ruined palace and climb 117 stairs to look out over the mountains from the fort built to protect the palace. The views were breathtaking. Apparently it was at this fort where the Nepalese fought off the Brits from taking over Nepal several hundred years ago. On the way back we stopped in Sindhuli and went to a bizarre which is a giant outdoor market. There were heaps of dried leaves in piles which on closer inspection was tobacco and how the locals buy it here. We were out with Suman the head administrator guy here and his family. Being with Nepal people ensured we weren’t as ripped off as usual. I tried to buy a beautiful embroidered scarf which the seller wanted 450rupees for; he sold it to Suman’s niece for 300rupees which is around £3 – bargain! We had momo’s at a dingy side diner sat on a wooden bench. Momo’s are a type of dough mix filled with meat served with spicy dipping – tasty. We were invited later that evening to dine at Suman’s house. Momo’s again. We all sat around his living room table and like a small factory work force we rolled out the pastry, filled it with marinated buffalo meat and then twisted it into a ball shape almost like ravioli. They tasted fantastic and it was lovely to feel so part of the community and to be amongst new friends. A very delightful evening. The phones and internet are still down so it’s difficult to get in touch with home, though everybody here is so kind and caring which numbs the home sickness. Woke this morning at 8am; a late start for me as usually wide awake at 6am. I blame the hike and content of belly yesterday. I am spending today in the wound care unit collecting more data for my study. The clinic room is very small and the patients sit in an old dentist chair with what looks like a brown plastic bag over the legs. Today shall be interesting. On Monday I went offsite to take a patient home to her village. She is 70+ and has had leprosy for 20 years. She has had one foot amputated and her remaining left foot is very deformed. However, she has no wounds, she has been fitted with footwear especially made for her feet and has been educated in taking care of herself, so she returned home. The trip to her village was off-road meaning there was no road so we drove across country, through rivers and swamps, until we got stuck – very stuck. It took seven men to heave the Land Rover onto dry straw to give the wheels something to grip to move. Returning the lady to her village was emotional, she clamoured out of the back of the vehicle hobbling on her stumps unstable without the aid of her stick. She appeared to be welcomed back into the village by her neighbours which was heart warming. Hopefully she will never have to make the off-road trip to Lalgadh again. From here we found a sandy path and continued on our way to the local villages where the community projects take place. Once a week five members of staff from Lalgadh community and self care services visit the poorest villages in the south terrain of Nepal. The Untouchable Caste. This outreach community-based programme is a new venture for the hospital but the aim is simple: educate the poorest people in health, farming and finance. Currently the project runs with only two villages around one hour’s drive from the hospital where people have very little. They do not own their homes; they are loaned to them by a land landlord. A social worker here at Lalgadh explained that the project gets the people of the community to nominate one person for health care, farming and finance. These people are then educated every other week at the hospital in basic healthcare, so dealing with diarrhoea and urinating, common diseases and even labour, primary health care. Farmers are educated on liaising with the government and financial management. A saving scheme is also developed where each family save 10 rupees a week, which is kept for them so when they are in need of money for health care, they have savings – something which is very uncommon here. There are eight to 10 people per house, the house being one single room probably not 10×10 metres. There is straw on the floor for the people to sleep on. At night the temperature here at this time is around 0C. With the lack of clothing, no bedding and no money to purchase fire wood, I can only imagine how unpleasant trying to sleep is. Many people here, especially the children, don’t make it through the Christmas period. Puts life into perspective. The name the Untouchable Caste clearly declares that this is it for these people, no education, no money and a title that deems you not as good as everyone else and that is accepted; this is their life. The community project helps to empower these people; an amazing project run and supported by the amazing staff of Lalgadh. For New Year’s Eve we sat around a campfire singing – or humming in my case – Indie songs. I was feeling particularly home sick. The three teenage lads who built the bonfire for the four visiting Westerners; myself, Ding – a Malaysian who is studying medicine in Australia, Amanda and Benji – who is from Nepal, but has lived in Denmark for the last 15 years. The three teenagers kept the fire burning and entertained themselves celebrating the Western New Year. The new year in Nepal isn’t for another five months when it will turn 2067! At midnight I rang home and had a good cry. Not very cool but it was needed. Today has been amazing. We had a picnic, something which happens frequently in Nepal. The men and the women of Lalgadh headed to the large picnic area by the jungle. We all sat separately men at one side, women at the other. We cooked beautiful food; curry, rice and fried chicken but it was better than any of the other food I have eaten in the past three weeks – it was beautiful. It began at 10am and we danced and sang and ate until 5pm. The children were all at school so it was just the adults and it was so much fun. The men kept creeping over to the women’s party as we were singing and dancing and laughing the loudest. A song began which is apparently very common in Nepal; the men and the women sing to one another in turn, teasing one another. It is a very flirtatious and humorous song. The men would sing how they would like two wives and the women would reply how they could not afford two wives, then the men would reply with something smart and then the women with something smarter and funnier. Spirits were very high and even though for 90 percent of the song I didn’t know exactly what cheeky lines were being sung, I grinned until my cheeks hurt. The leader of the women was a very old lady who is wrinkly with faded tattoos on her arms. She cleans at the hospital. She danced in the middle telling the men they should be home with their wives not chasing them. 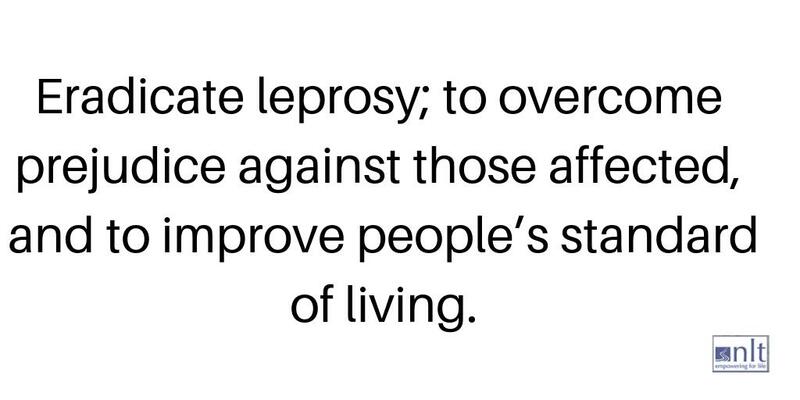 Leprosy causes neuropathy (nerve damage) and affects the bone of the nose and ear as these are the coldest parts of the body so large numbers of the bacteria eat away at the bone/ cartilage of these areas. Today, a 53-year-old male was having surgery on his collapsed nose. He also had a small hole where the bridge of his nose should be – this is the site of the original wound that brought him to the hospital originally as he had maggots living in there. He has no toes and has lost the tips of multiple fingers as well as a small infected ulcer of his third digit of the right hand. But today his nose is getting attention. In the West a collapsed nose is usually fixed using a plastic prosthesis moulded into the correct shape for the patient’s face. In Nepal this is not available. The missing bone which forms the bridge of the nose will be replaced by a small section of the patient’s hip bone, so he is given spinal anaesthesia. A section of his bone is then chipped away. Dr Van Kumar takes two pieces and explains that previously he has only taken one piece closed up the area and then dropped the piece of bone. So now he takes two – just in case. The patient is still awake. Lignocaine (a local anaesthetic) is then injected into his face, forehead and nose and his face is then cut into. Adrenaline is pumped in to try and stem the bleeding, and when this is unsuccessful quarterisation is used. At this point the patient begins squirming – he can feel everything and the pain is not pleasant. Cutting deeper into his nose the pain is unbearable and I’ll be honest, I could no longer watch this man in complete agony. At this point Dr Van Kumar decides to give intravenous Ketamine (a powerful anaesthetic) to knock the patient out. The pieces of bone from the hip are placed into the space where the bridge should be. It’s all a bit lumpy but a marked improvement on the previous cavity. After all this excitement went for possibly my last walk along the river bed. It really is so peaceful and still, is so breath taking, I really will miss it. There is nowhere I can think of in the UK that is this deserted and tranquil. Last day here tomorrow, going on the nurse’s rounds to collect my final lot of pictures. I shall be very sad to leave this peculiar little place. I will miss the way it copes with so little money. The sun has come out again after a week of very thick heavy fog which has taken the temp down to around 2c. The lack of windows that close properly in my little shack has meant that it has been 2c and below inside as well as out. I’ve discovered a liking for boiled water as it’s the only thing hot and it warms my hands. I hope the sun shines for my last day tomorrow and especially for Thursday so that I am able to fly back to Kathmandu. I really, really don’t want to catch the bus. Nine hours through the mountains, I’d rather not. 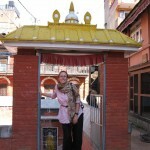 I’m meeting Amanda in Kathmandu to eat chocolate cake and site-see which should be fun. Miss home like crazy now! Yesterday was my last day at Lalgadh. I spent the morning running between the nurse’s rounds and the admin block trying to collect 10 more pieces of data for my study and sort out my travel arrangements to Kathmandu. The fog has been so thick and heavy I didn’t want to waste a day travelling to Janakpur waiting for five hours for a plane not to show, then travel back to Lalgadh to either try and fly again the next day or catch the bus. The Maoists have kicked off again and there are Bandhs here, there and everywhere between now and my flight home. The government removed squatters from a forest using force. The government says they were burning trees which weren’t theirs to burn and that they attacked the police with axes. The Maoists who are supporting the “poor and weak” or more like the vulnerable who will listen to anything they say, say that the police went in all guns blazing attacking the weakest and poorest people. Whatever happened, seven ended up dead and now the strikes have begun so I decided to take the bus today and not waste any days where I can possibly move around. I took a very shabby bus with no faring which was the shape of a submarine – I feared for my life for the rest of the journey! Especially whilst driving very, very close to the cliffs whilst under or overtaking other buses. The views however, were breath taking. Rivers and waterfalls with a background of plush green mountains with a blue sky, I have never seen anything so beautiful and no photograph could capture it. Goshan guest house is in Patan not Kathmandu, which used to be an independent city. I do feel this experience has changed me. I feel so much more independent and happy just to be me. I think I have whiplash from being bumped and bashed around on the bus all day, my neck is killing me! Today the Maoists have called a strike so Nepal is at a stand still, meaning I can’t really do anything. The last two days in Kathmandu have been great fun. On Friday I taxied into Kathmandu to visit Dunbar Square. The taxi is supposed to cost 200 rupees, the driver demanded 300, I hesitantly agreed. Then halfway there he demanded I paid him 500. I was infuriated; I ended up paying 400 – double what it should have cost! I arrived in the very busy, loud, chaotic square and was immediately pounced upon by people wanting to be my guide. No thank you. I wandered around the quirky streets, admiring the beautiful jewellery and fabrics. The temples were beautiful and in the maze of tiny alleys lined with an array of shanty market shops selling gifts to tourists, little passages would lead to other temples just hidden away. I felt like a character from Indiana Jones! Today has been my last planned touristy day of Nepal. Went to the only zoo in Nepal. We came to the hyena pen which I literally could have climbed over a small wall and sat in the pen with it. We came to the conclusion that all the animals were sedated as the poor thing cackled as if he was drunk. We passed sedated hippos and rhinos and entered the bird area which was filled with beautifully coloured birds, with a cage full of cats in the middle of them! There was a cage with three common leopards and you could put your hand through and stroke the leopards, not that you were supposed to, but you could if you felt so inclined – this allowed for some awesome pics to be taken though. The highlight of the day had to be when a fully grown Indian elephant was stood directly behind me heading for the water for a drink. I was awe struck. He was absolutely beautiful. I gave him 50 rupees into his trunk, and he passed it to the keeper who was walking beside him. I then got to stroke and touch him and have my photo taken with him.